Welcome to Auburn, where fresh baked cookies hold the key to your future, and a melody carries the secrets of your past. Mina Fairchild keeps to herself, and that’s the way she likes it. Her secluded life protects the secrets she hides, as well as a certain peculiarity that even people in the colorful town of Auburn, Nebraska find strange. But when her movie-star sister Bernadette shows up on her sofa, Mina’s cozy bungalow is overrun with paparazzi. One dark eyed reporter seems to see straight into Mina’s soul and her world begins to crumble. It’s bad enough when he noses around her secrets, but then he starts digging for information about her mother, and Mina can’t let that happen. Bernadette fled her Hollywood life after her boyfriend’s affair caused her to do things that sent the tabloids flying off the racks. Now she’s facing the sister she hasn’t spoken to in eight years, and an ex-fiancé, to whom she owes more than an explanation. 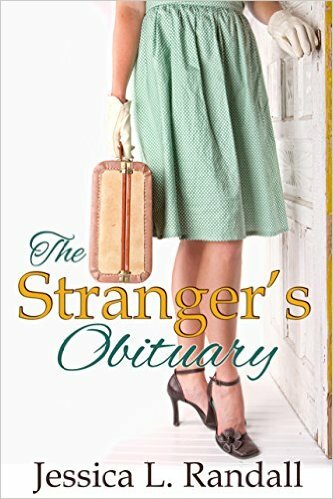 While she’s not sure she can tell them the truth, she’s determined to make things right, even if that means America’s Sweetheart waits tables in a small-town diner. Trouble is, this prodigal return has unraveled more than the sisters realize. When a body is discovered, and a strange woman comes to Bernadette pleading for help, Auburn encounters a decades old mystery that causes Mina to question the very people she’s been protecting, and threatens the few people she’s close to.